Voting is Now Open for the 2018 Hometown Hero Sound Company of the Year Award! From early September until Oct. 6, 2017, FRONT of HOUSE readers have the opportunity to vote for the best regional sound company in each of six separate regions in North America – five U.S. regions and all of Canada. 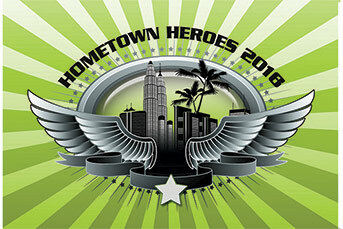 That round of voting will determine which of the six finalists will be honored at the Parnelli Awards with the 2018 Hometown Hero Sound Company of the Year Award. The awards ceremony is set for Jan. 26, 2018 at the Hilton in Anaheim, CA during Winter NAMM 2018. Every vote counts – cast yours today!